do you remember this picture of my post of the 6th of may? 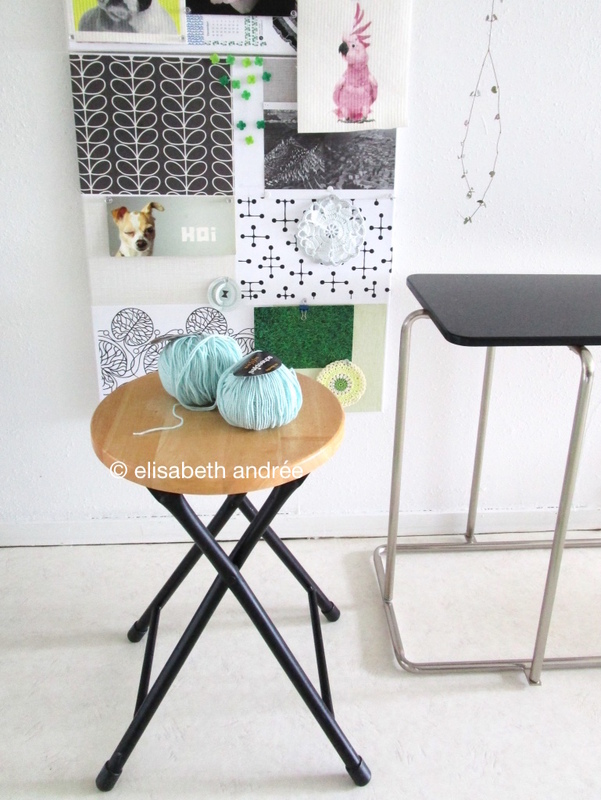 a small and simple sidetable that i found in my mother’s house and this is how it looks with it’s new cover. the yarn is softfun of scheepjes. on the floor you see a vase which was also my mother’s and although i think it is very ugly i know my mother has it for years and years, so i took it home with me. for an empty glass jar i made a ‘dress’ in the same style as the (super)market bags i have made lately. to make the rope i crochet foundation half double crochets and attached it to the cover with two large keyrings. with some led lights in it, the shadows look wonderful in the evening. used yarn is a combination of catania and phil coton 3.
for no reason i tried a vintage pattern. 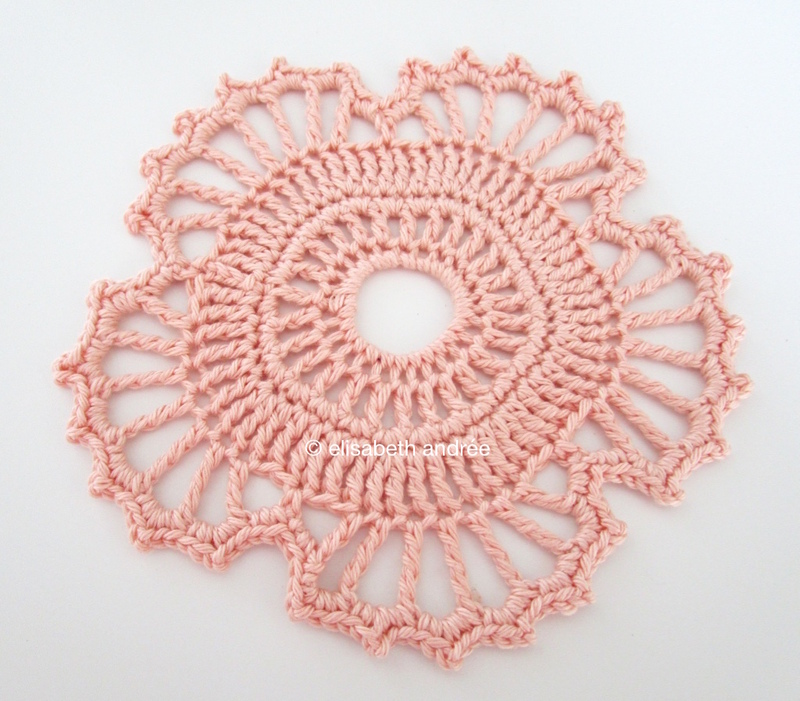 it is a large motif of the irish crochet doily number 7635 which you can find here. used yarn is phil coton 3.
just because i love this yarn – which is better for knitting – but it is so beautiful and it is the best yellow i have seen for a while. two balls of katia creta, crochet hook size 5.00 mm and very loosely made double crochets, some slip stitches along the short sides and four wooden buttons. voila, a simple and super soft cowl for my sister in law. finished too is my lilac shawl, more photos and notes how i crocheted it you can find here. the bright green bag is made with the same stitch pattern (years ago) and it has a complete other character because off the yarn and color. 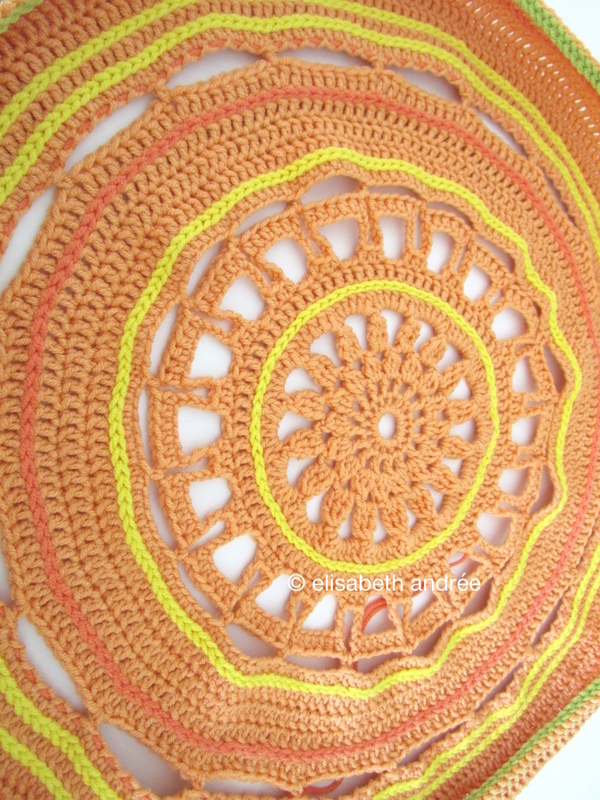 a cushion cover in citrus hues (free hand, no pattern)…. ….. and these rectangular grannies. for quite some time i was looking for a pattern and although there are many great patterns available, when i saw the diagram i thought yes, that is the rectangle i like to crochet. the pattern is written but it also has great diagrams. a small adjustment, i make 2 chain spaces in the corners instead of 1 chain spaces. i don’t like to squeeze 6 stitches in such a small space. direct link to the pdf is here. last but not least, 42 ‘another squares’ are all blocked and ready to be sewed together. pattern for the squares here. well that is all i have to show you today. if you have time, leave a small note with what you think is your favorite project. have a wonderful day, rest of the week and until next time! Categories: crochet | Tags: blue, cover, cover for table, cowl, crochet, cushion cover, interior, motif, pothanger, scarf, shawl, square, squares, vintage, yellow | Permalink. hope it goes well with you?! it’s been a while since i wrote my last blog post, real life took almost all my time. i have neglected my blog, but also the reader and therefor i didn’t visit many blogs and didn’t write many comments. hopefully you will forgive me !? well, i did post a picture on instagram almost daily, because i keep crocheting. the charcoal cowl is finished, i added no other colors, but i made a button closure. 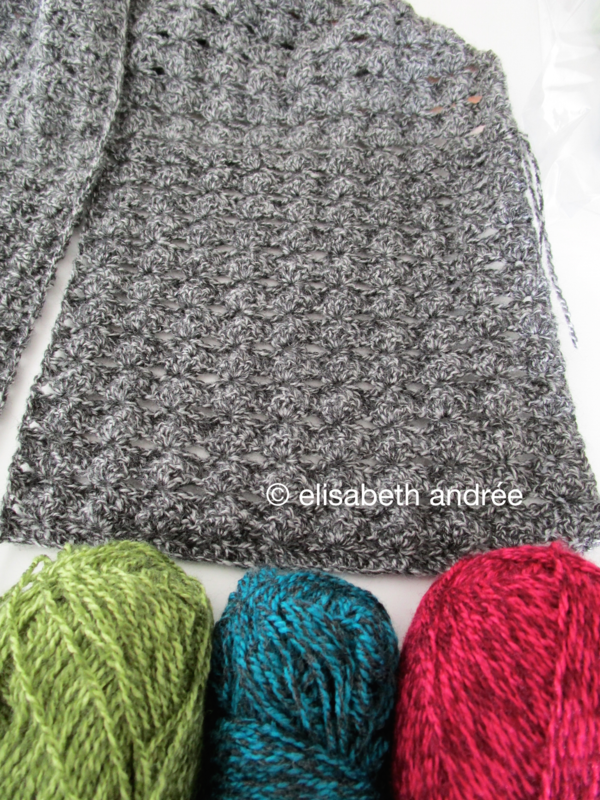 i had problems with the color difference of the yarn, because not all balls were of the same dye-lot. i solved it by first working with the lightest shade until i was halfway the amount of it and did the same with the darkest shade. i then attached the lightest shade at the beginning chains (on the other side of them) and continued to work in the same way. the spaces between the groups of double crochets were large enough to function as button holes, so i only had to find buttons with the right size and color. very simple and i am satisfied with the end result. that is it for today, i will try to be back soon, but please have a little patience with me? joining: ginny’s yarn along at small things. have a wonderful day and until next time! Categories: blogging, crochet | Tags: charcoal, cowl, crochet, crochet stitches, scarf | Permalink. … and i doubt if i should make a colored detail. i have green and blue yarn left from the soft ribbels blanket (which is finished!) and i also have yarn with the name peony. i do not like to wear pink, but because this yarn is variegated it might be a little different. what do you think, let me know?! more info about the stitch pattern you can find in a previous post here. joining ginny’s yarn along at small things. 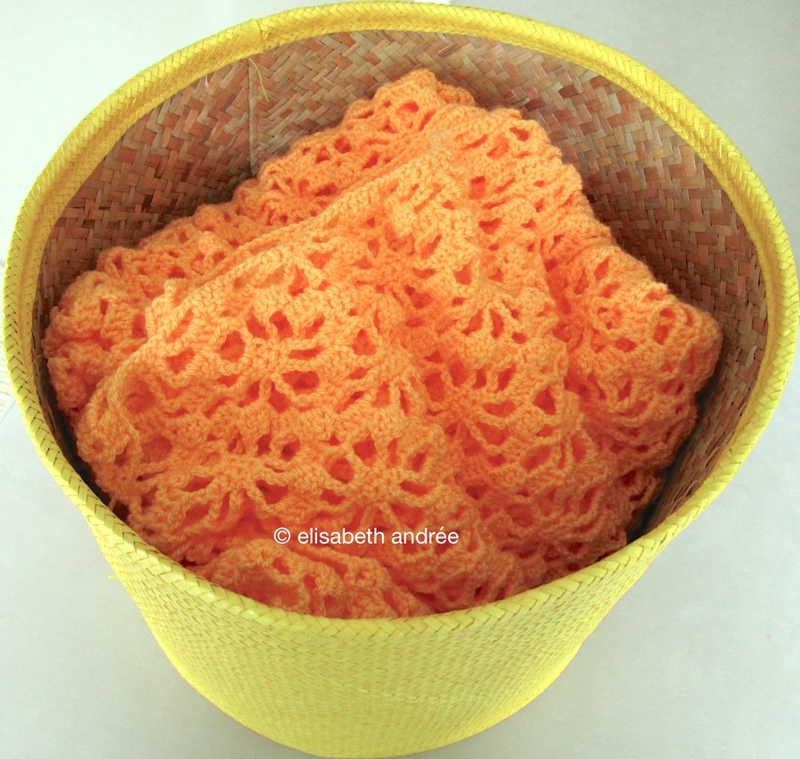 Categories: crochet, wip | Tags: cowl, crochet, scarf, variegated yarn, wip | Permalink. welcome to my last blog post of this week! finally i finished the cowl! it is made of two neutral shades of acrylic yarn, beige and off-white, two different stitch patterns and it has buttonholes and transparent buttons. it can be worn in multiple ways. most photos have failed, but here you can see the pictures that -i think- are presentable. this week i also made ​​another version of this scarf, only longer, in a different color with gray stripes made of trebles and also a gray edge. it is similar to the other scarf and very soft and warm to wear. that’s it for today and this week and then one other blog post next week, that will be the last one this year, about my christmas decoration. hope to see you soon! for no have a wonderful weekend! 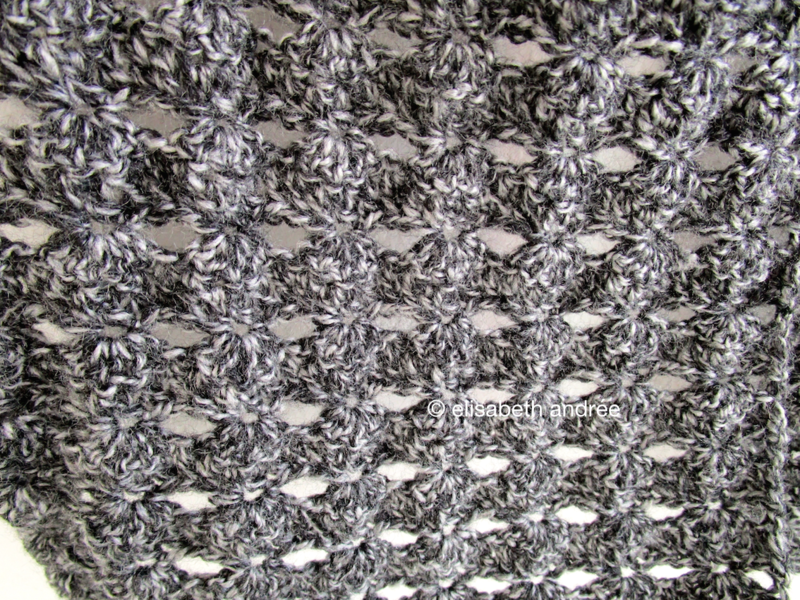 Categories: crochet | Tags: colors, cowl, crochet, crochet stitches, scarf | Permalink.